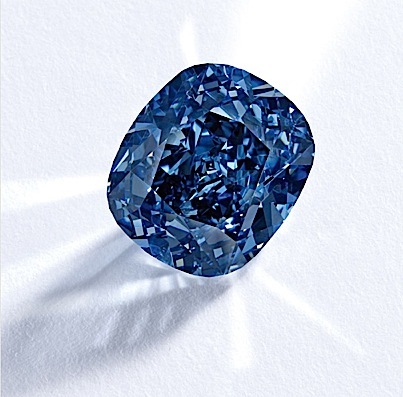 An extremely rare 12 carat, flawless blue diamond, named the Blue Moon, will be sold at a Sotheby’s auction on November 11th in Geneva, and is expected to become the world’s most expensive diamond ever sold. Sotheby’s expects the Blue Moon to fetch up to $55 Million. The Cullinan Mine has produced some of the world’s largest diamonds in the past and is one of Petra’s largest pit mines. Petra Diamonds is the largest rough diamonds producer is South Africa. Petra has seen a 33% drop in sales from the same period last year. The Blue Moon’s original size was 29.62 CTS and was purchased, cut and polished by Cora International, a New York Cutting House, who took 6 months to polished the stones, and will be selling it in Geneva. Current world record is being held by The Graff Pink which went for $46.2 million in 2010.